One of the greatest fallacies about Koine Greek is that it was chosen for the inscripturation of the New Testament because it was somehow superior to the other languages of the day. Nothing could be further from the truth. There is only one reason (humanly speaking) why the New Testament was written in Greek, and that is a man named Alexander the Great. Alexander was the first universalist of the ancient world. He had been commissioned by God (or so he thought) to unite the world and then infuse it with the culture and language of Greece. His aim, he said, was “to marry East with West.” He dreamed of a universal empire in which there was neither Jew nor Greek, barbarian nor Scythian, bond nor free. We have seen in recent years a similar dream among certain Americans who think that by spreading democratic ideals (by military force if necessary) they could unite East and West. But the truth is that only Christianity can destroy the barriers that divide Greek and Jew, barbarian and Scythian, slave and free. Christianity obliterates these barriers, and many more indeed. For in one and the same Body abide the aristocrat and the ploughman, the cultured and the uncultured, the Jew and the non-Jew, the leader and the follower, the home-schooler and the government-schooler, the Calvinist and the non-Calvinist, the Burji and the Guji. Together we are “holy ones” (hagioi, see Phil. 1:1) – the dedicated people of God. Real Christianity always means genuine community, and it is an amazing community indeed, given all the diversity among us. It is not too much to say that community was a reality created and introduced by Christianity. From the very beginning the church was a united church (see Acts 2). Together, the followers of Jesus behaved with brotherly love toward those inside the church and with missional love toward those without. Today, in our churches, we must never give the impression of superiority or condescension either toward one another or toward the world around us. As I have written in The Downward Path of Jesus, “nationality, education, and social status mean nothing to Jesus…. In His kingdom there are no small people.” True Christianity has never been a religion of office and title, status and prestige. It is a counterfeit Christianity that allows an atmosphere of class, race, or gender consciousness; the real thing radiates humble equality wherever it goes. Different Christians will have different functions in the Body, of course, but it is the duty of every Christian to serve every other Christian in love and humility. Let us then work, and work hard, and work together, not to advance ourselves or our denominations or our paltry kingdoms, but to advance Christ’s upside-down kingdom in which there are neither Jews nor Greeks, slaves nor free people, males nor females. 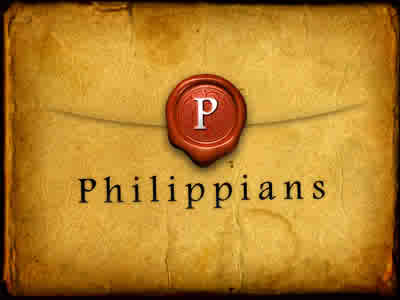 The book of Philippians, at its core, is nothing other than an appeal to maintain this kind of unity. But note carefully: it is not unity for unity’s sake. It is (as we shall see) unity in the cause of the Gospel, and this is the great theme we will seek to unpack in this series of essays. May the result of our studies in Philippians be an advance in the kingdom of a crucified Galilean carpenter who rules the greatest empire the world has ever known. And, as we study, may our supreme focus always be Jesus Christ, the one who unites us, and not the secondary issues that separate us.